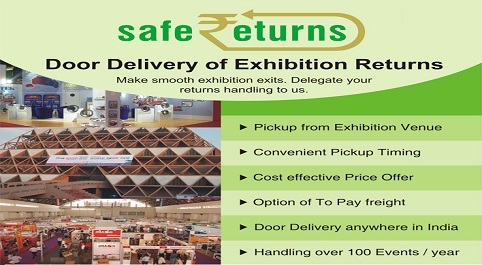 A unique service offered by Safexpress, specially to cater to the needs of those participating in exhibitions and expos. This service allows company delegates to make smooth and timely exits from the exhibition centers, by ensuring hassle-free returns of their products and demo pieces, after the exhibition is over. ‘Exhibition Returns’ provides pick-ups at desired times, i.e., when the event is over and provides door delivery to any place in India. A team of dedicated and experienced exhibition handling staff coordinates with the customer for all returns. A unique service offered to retailers and shopkeepers for enabling the management of their unsold, end-of-season, damaged and expired stocks and sending these back to the manufacturers. In such cases, the goods travel upstream from retailers to manufacturers/ warehouse etc. Return shipments from retail stores in malls, shopping complexes, retail streets, etc.